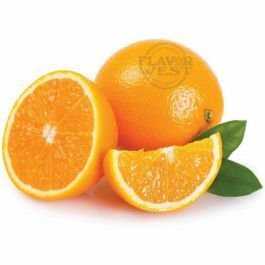 Natural orange flavor brings a sweet, citrusy and ripe juicy taste to your creation. Pair with chocolate for a delicious taste depending on your liking. Good for drinks, bakery and confectionery products. No artificial sweeteners, it’s purely natural. Please Note: Flavor is highly concentrated (Shake well before use). Type: Orange All Natural Water Soluble Flavoring. Ingredients: Natural Flavoring, Propylene Glycol and Ethanol. USP Kosher Grade Flavoring. Usage Rate: 15-20% for E-use. Flavor suitability: Suitable for general cooking and baking, drinks, deserts, yogurt and much more. Specific Gravity: .91 No Refunds on Flavoring.